Designed by Nicklaus Design, La Torre Golf offers 18 holes, par 68 and four exit tees from each hole. “Only” par 68, but pay attention! It has more than five hectares of elaborate bunkers that separate the holes and create strategic points, adding value to every shot. Its short holes make La Torre the ideal course both for novice and average players. 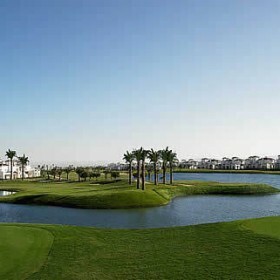 At the same time, La Torre is a challenge for experienced players teeing off from the furthest distance. They will have to come up with the right strategy to reach the fairway with the perfect shot. Thanks to its outstanding features, La Torre Golf is, without any doubt, a course not to be missed by any golfer. 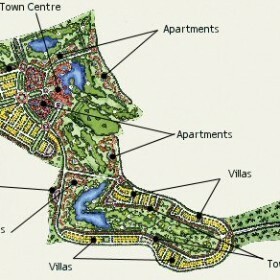 Three large lakes come into play on 6 holes, and the golf course is complemented with lush landscaping and great views. Complete with a full-featured practice facility, La Torre Golf Resort is sure to provide a pleasant day of golf. Practice facilities: Natural grass driving range with 20 bays, Putting and chipping green, Practice bunker, Practice ball dispensing machines.